AmeriStall Horse Barns - Meanwhile, In Beaumont! We are excited about extending our reach into South Texas. 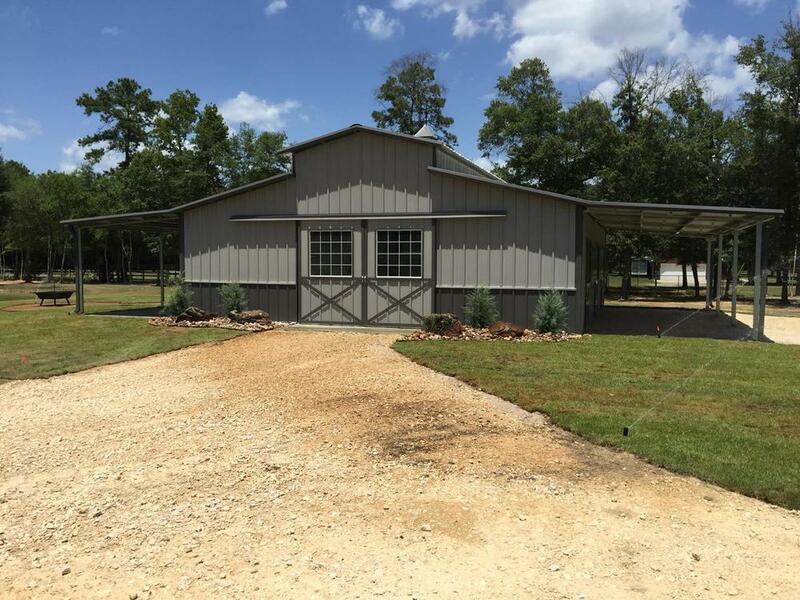 This is a 36 x 36 x 10 raised center aisle horse barn with 2 side porches, 3 stalls, and 1 tack room. The customer chose to include swing-out feeders in the stalls, an insulated roof, decorative cupola, and wainscoting on the front. To learn more about the barn options we offer, please click HERE. 36 x 36 x 10 RCA Horse Barn with Concrete Foundation. 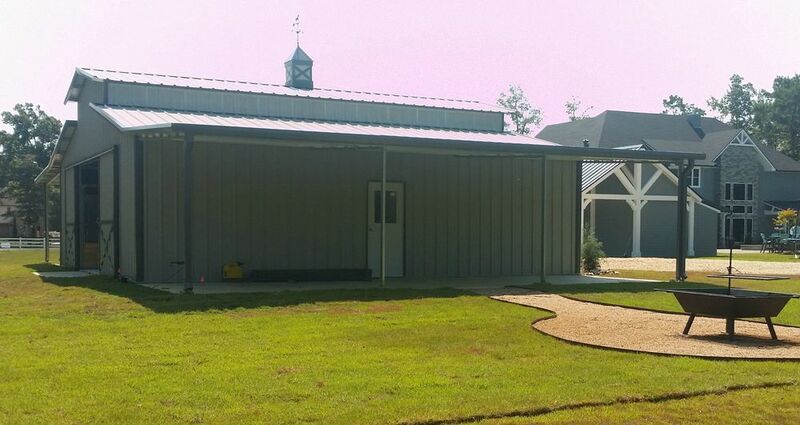 To see our other barn designs, please visit our horse barns page. This was a turn key project. We take care of you through the decision making process until we hand you the key. Which options would you choose?